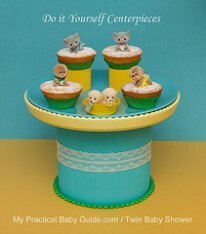 Baby shower centerpieces play an important part of the shower theme. 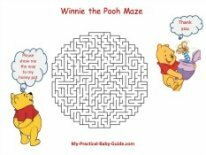 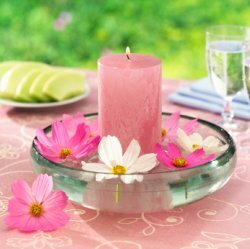 Place a pillar candle in bowl with water, buy some colorful flowers and cut the stems then place them around the candle to float on the water. 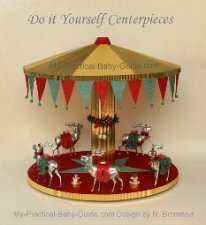 If you are interested in DIY projects check this beautiful Candle Centerpiece. 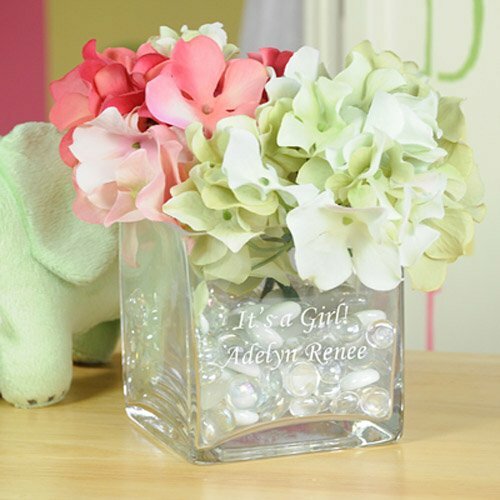 A glass bowl filled with water and flowers, in colors that match your theme, makes a beautiful and affordable centerpiece. 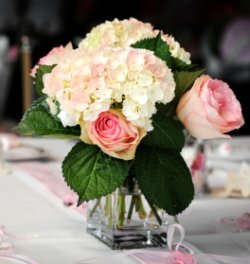 If you are interested in DIY projects check these beautiful Flower Centerpieces. 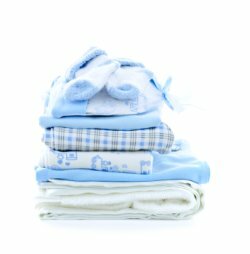 Make a stack of blue infant clothing for baby boy or pink for a girl and place them in the center of the table. 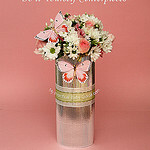 Cover boxes of various sizes and shapes in decorative papers and affix a ribbon on top of each. 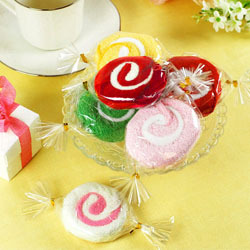 Arrange in the center of the table in any appealing design. 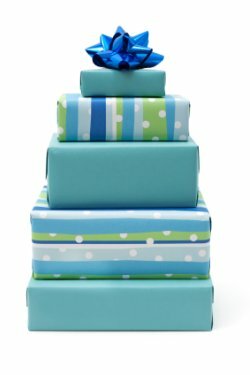 For an interesting effect, choose papers of different patterns.You may choose the traditional blues for boys and pinks for girls or any other colors that you like that match your theme. 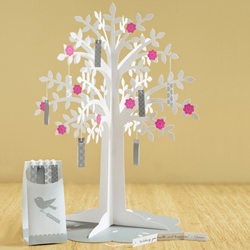 Set a wishing tree on the table and invite each of your guests to hang a wish upon a bough. 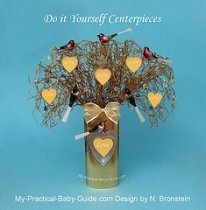 Tip: Use this wishing tree in your next baby shower. 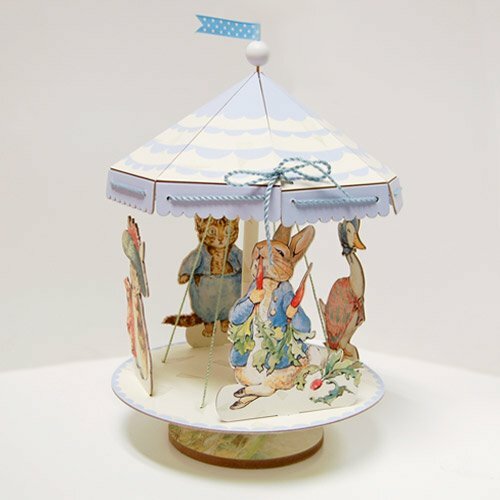 If you are interested in DIY Projects check these beautiful Wishing Trees. 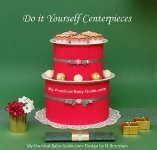 Diaper cake plays two roles, a great centerpiece and a gift for the mother to be. 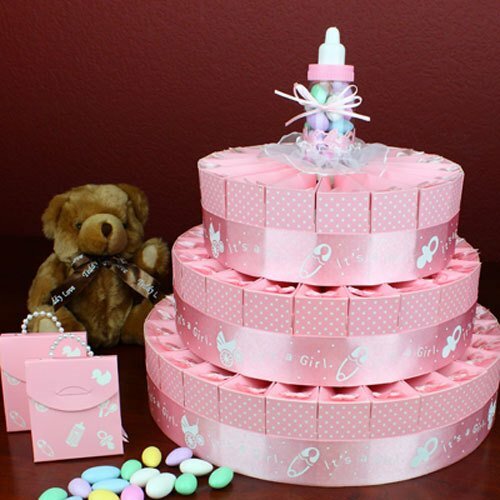 You can buy a diaper cake or do it yourself. 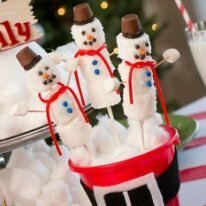 Instead of real candies take a look at this great candy towels centerpiece and a favor. 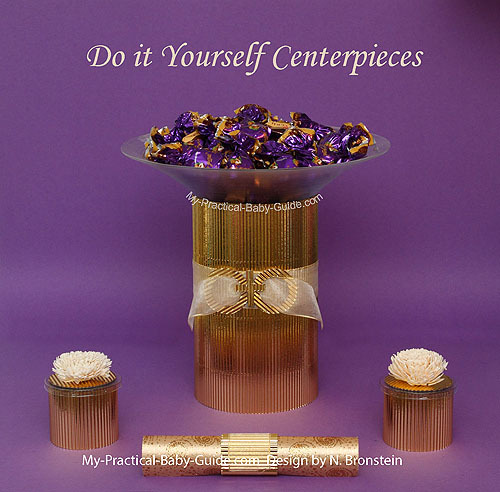 It is made of towels, each wrapped in a clear plastic with two golden ties placed on a glass plate.Place it on the center of the table as a centerpiece and ask your guest to take one when they leave.